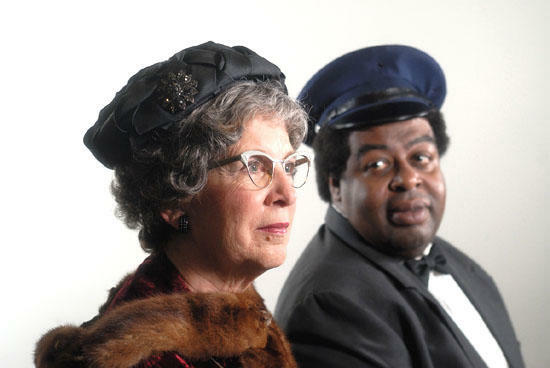 Driving Miss Daisy, one of modern American Theatre’s most touching and irresistible stories, will be presented on the Arts Center stage November 6th through 21st. Directed by Mary Wilson, this Pulitzer-Prize and Academy Award-winning comedy-drama is sure to warm your heart with its message of friendship, understanding and hope. This production is a family comedy that tells the story of Daisy Werthan, an independent, aging Jewish widow – sharp-tongued and set in her ways, who having recently demolished yet another car, is informed by her son, Boolie that henceforth she must rely on the services of a chauffeur. The person he hires for the job is a thoughtful, proud, soft-spoken black man, Hoke Coleburn. At first, Daisy’s stubbornness and cultural prejudices cause much friction, but over the course of 25 years, Hoke becomes not only her chauffeur, but against all odds, her best friend. Driving Miss Daisy is sponsored by First Bank and is part of the 2009 Playhouse Series sponsored by The Old Feed Store Antique Mall and Cannon Inn of Woodbury. The Arts Center’s production of Driving Miss Daisy will feature Rosie Graham as Daisy Werthan, Michael McGee as Hoke Coleburn and Donald Fann as Boolie Werthan. Ticket prices are $10 for adults, and $8 for seniors, students or groups and may be purchased by calling the Arts Center box office at 615-563-(ARTS) 2787 or 1-800-235-9073. Tickets may also be purchased online at www.artscenterofcc.com. The Arts Center Cafe is now open before all performances. The Arts Center is located on 1424 John Bragg Highway, just west of the town of Woodbury, approximately 20 minutes from Murfreesboro, Manchester, and McMinnville and one hour southeast of Nashville. Box office hours are 10:00a.m. to 4:00p.m., Monday through Saturday.